The storage packed lounge bed features a Louis Philippe style. 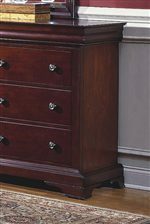 It is constructed from birch solids and veneers in a warm Bordeaux finish. 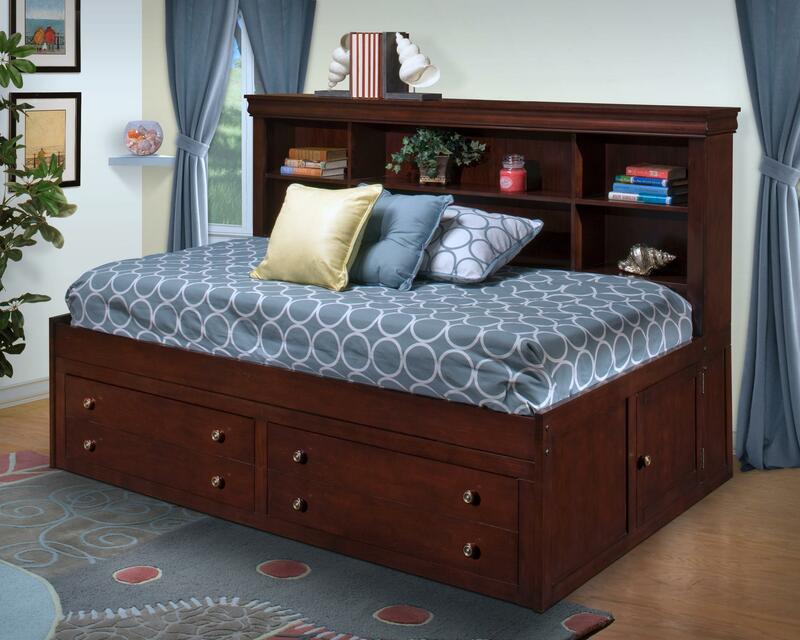 The soft brown finish creates the perfect backdrop to bring out the bookcase headboard and storage footboard. 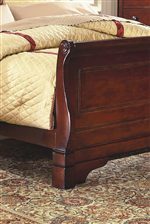 This captain's bed is available in twin and full sizes. The Versaille Twin Lounge Captain's Bed by New Classic at Michael's Furniture Warehouse in the San Fernando & Los Angeles area. Product availability may vary. Contact us for the most current availability on this product.